The White House's immigration plan will offer a path to citizenship for 1.8 million immigrants living in the country illegally, according to details shared by administration officials on a call for allies that Axios listened to. The administration proposal will be shared with Congress today, the officials said. The big picture: The plan is "a compromised position" that includes "some extremely generous provisions that should make Democratic support to get to 60 votes a given," White House adviser Stephen Miller said on the call. By the numbers: That includes establishing a path to citizenship for 1.8 million younger immigrants with work or education history and "good moral character." That number, substantially larger than the 800,000 DACA recipients, includes individuals who did not apply for DACA but met its requirements. "That is a very dramatic concession from the White House that should ensure 60 votes for the framework," Miller said. The concession on DACA comes with the ability to terminate the status of individuals seen as a threat to national security based on criminal history, Miller said. An end to the visa lottery program and chain migration. A "$25 billion dollar trust fund for the wall system." "Historic investment in northern border security." "An appropriation for filling personnel deficiencies" in border patrol and at the Department of Homeland Security. "Same treatment of illegal aliens, regardless of country of origin." "Closing loopholes in the system that make it almost impossible to deport illegal immigrants," such as the court backlog or the "catch and release" policy through which immigrants are released while awaiting a hearing. 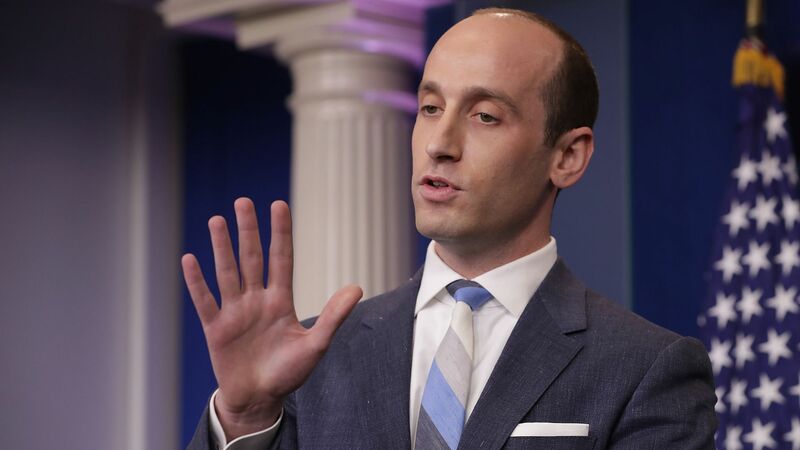 Several sources provided Axios with the dial-in-number for the call in which Miller laid out the plan’s details.